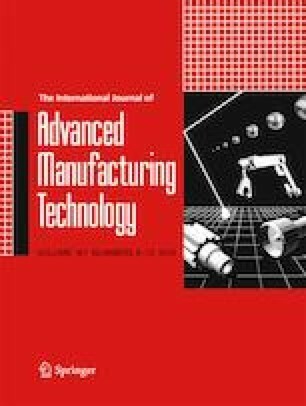 To solve problems such as insufficient energy and effective arc burning during the injection of a working medium in a short arc discharge channel, the application of a W-Cu alloy as the electrode material in short electrical arc machining (SEAM) is explored in this paper. Using the surface roughness, material removal rate, and tool electrode wear rate as technical indices, the effects of voltage, frequency, and duty cycle on W-Cu alloy materials are studied to explore machining characteristics in SEAM. Contrast experiments on a graphite electrode were conducted using a SU8010 scanning electron microscope and energy spectrum analysis to study the erosion mechanism of the W-Cu alloy material. This paper addresses applications of copper-based composites in SEAM and provides a theoretical basis for the development of electrode materials in the SEAM. This research is supported by Natural Science Foundation of China (51765063, 2018B02009-1, 2018B02009-4).